Star Control: Origins lets you do a lot of dumb things. Starting off in command of humanity's latest and greatest spaceship, your orders are to travel to Neptune's moon of Triton. On the way there, you're free to fly into the sun and melt your entire crew or explore the planet Venus and watch your planetary lander immediately get obliterated. This game doesn't hold your hand in the way most RPGs do, where you're forced sit through a tedious tutorial and it takes a long time to encounter a possible failure state. Most RPGs only have failure states in the context of combat, where multiple choices tend to only affect combat and narrative outcomes, rather than wider gameplay and progression consequences. In Star Control: Origins, you can attack a new alien on sight and ruin the potential to have an alliance with them, or you can strip an ally of too many of their ships, so they get annoyed and no longer help you when it counts. When writing dialog for even minor alien races, we try to distance ourselves from the RPG tropes such as "if someone offers me something, I should take it because it will end up paying off later on!" Maybe it will, and maybe it won't. Space is big, and there's a lot of junk out there. One of the quests I've written involves landing on a planet with some pre-industrial aliens that are in awe of your lander, so they offer to buy it from you. They're not space-faring, so they don't have any standardized Resource Units, so they instead offer you some of their local currency: 200 Xhelp tails. The Xhelp tails do nothing and hold no value, but maybe you can sell them on a bazaar for a pittance. Despite their worthlessness, we allow you to be an idiot and give the aliens one of your expensive landers in exchange for some random animal tails. It's intended to be a goof more than anything, but dialog options such as this mean that players have to think about what they're doing instead of just going on autopilot through the typical RPG motions. Origins is a reboot of an old franchise. 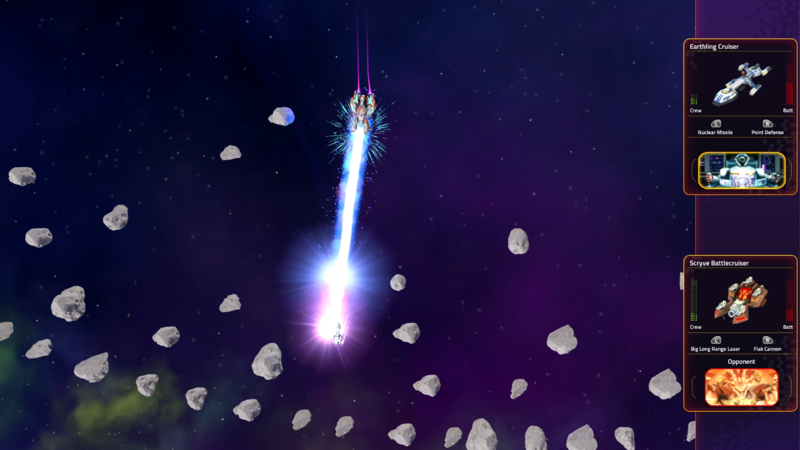 Star Control 2 was praised for being a challenge where players have to direct and orient themselves. It was typical for games in the early 90's that players were required to read the manuals and work things out. We're not going this extreme with Origins, but we want to incorporate parts of that experience to help make it feel like a Star Control game and a retro throwback. Stardock is a strategy game developer and publisher. Creatively challenging our audience is what we know and enjoy. Star Control: Origins is the first RPG game we have developed, so we're coming at it from a different angle than is typical. Our core audience is an older demographic compared to that of most game companies, so we have faith in our audience's ability to make sense of the game and its systems without being coddled. Simply, it's a type of design we find fun and want to make. We're an independent studio, we do what we want. That being said, not spoon-feeding our players is something that could backfire on us if everyone gets stuck and confused, so we've focused on trying to make the new player ramp as intuitive and smooth as possible. You can land on Venus, but the player is blatantly told the heat and toxicity are deadly. 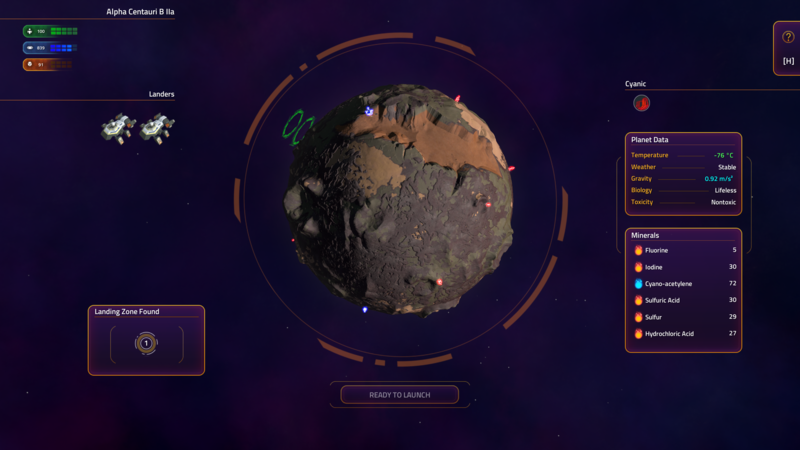 Our AI camera for star systems means players don't have to learn and navigate the camera as it automatically predicts where they are moving and adjusts the camera to match. Landing on a planet requires maintaining your position during descent with abstracted squares generated to guide you to the landing zone. 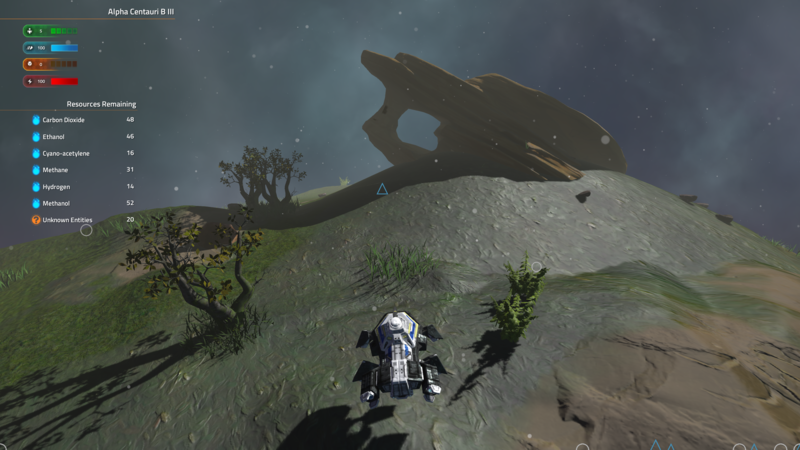 We don't need a tutorial to tell you how to land on a planet, it's intuitive what you should be doing. We've also added a training base where players can fight target drones to practice their fleet battle controls. It's a tough act to balance - too much emphasis on accessibility or challenge is no good - so there's a sweet spot in the middle we're aiming for. We're also ensuring we have fail-safes in place in case players get stuck. The game autosaves before a planet landing and before a fleet battle, so you can always load if it goes horribly wrong. If you run out of fuel, the Tywom will show up and give you some because you're such great space best friends, but you have to endure some of their obnoxious fan-fictions, and Scryve ships may attack you as you wait for them. If players lose all their landers and have no more cash, they can return to Earth and get some for free. You can also earn money to buy fuel and landers by looting ships. Being challenged is fun, getting stuck is not. Star Control: Origins is a non-linear campaign, and while there are breadcrumbs along the way to introduce you to the various races, nothing is stopping you from immediately flying across the galaxy to where scary aliens will murder you. On the flip side, when blindly venturing out you may encounter a powerful precursor relic or a quest normally reserved for later in the campaign. On your second playthrough you may know where to go and could bypass most of the campaign, but good luck surviving that with your crappy starting ship and equipment. This freedom-to-fail concept I'm describing our campaign as is perhaps a bit of an oversimplification; landing on Venus isn't necessarily a bad thing that you shouldn't do. If you're quick enough, you could pick up a patch of valuable resources and leave before all your crew dies. Because why let some dead crew get in the way of a good treasure hunt? You probably shouldn't land on Venus, but hey, you can if you want. We're giving players the freedom and flexibility to play how they want to play, and to learn the game and its systems in detail instead of being coddled. There's a hunger for that instead of the typical on-the-rails RPG where the player is told how and what to do, with meaningful choices limited to just the domains of narrative and combat. We think we're building something unique and special here. Still say the game needs more nekkid chicks, though. **Alien that looks like a cross betweek a cow/pig/elephant thing** "oh.. my... you are just... oh... care to come aboard my ship for a tour?" Aww, I'm just bein' a brat. Honestly i say if u don’t plan good enough, let you rot wrt fuel, don't like much the idea of getting fuel anywhere in space, takes away some of the exploring/excitement/danger factor having someone around the corner to hold your hand is like taking grandma with to push the trolley at the grocery store. besides i'm in unexplored far away territory, i'd like to have it feel that way too. Worked well in SC2. I like the "Xtails" thing. A very long time ago I made a mod of a BBS door game called "Usurper". It was a little more harsh than your Xtails, but the same concept. The two most expensive things in the store were a "Thingamgig" and a "Whatchamacallit". Neither of them actually did anything. It was so funny too me!